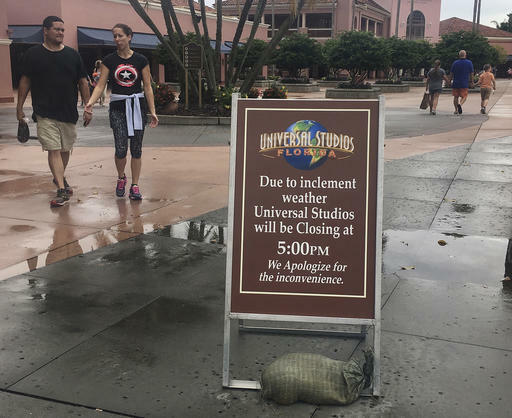 MIAMI (AP) — Airlines canceled more than 3,000 flights for Thursday and Friday as Hurricane Matthew moved closer to the Florida coast, bringing high winds and heavy rain. Leaving more than 100 dead in its wake across the Caribbean, Hurricane Matthew steamed toward Florida with potentially catastrophic winds of 140 mph Thursday, and 2 million people across the Southeast were warned to flee inland. 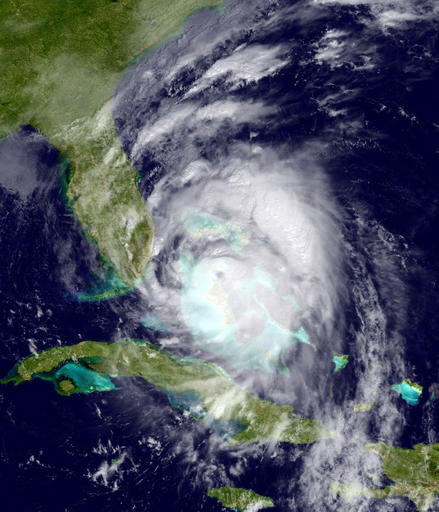 It was the most powerful storm to threaten the U.S. Atlantic coast in more than a decade. By 6 p.m. Eastern time, flight-tracking service FlightAware.com reported that more than 1,500 Thursday flights within the U.S. had been scrapped, with the largest numbers at Fort Lauderdale and Miami. American was the hardest-hit carrier, followed by Southwest Airlines and JetBlue Airways. FlightAware said airlines had already canceled another 1,600 flights scheduled for Friday. Delta Air Lines said cancellations were likely to spread to coastal Georgia and South Carolina on Saturday. Airlines often cancel flights before storms hit to prevent passengers from being stranded at airports and to keep their planes in position to recover after the bad weather passes. As the storm closed in, workers tied down jet bridges, lowered cranes in a construction area, and put away vehicles and other equipment. 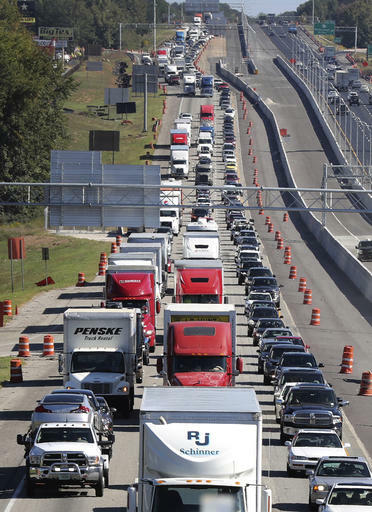 While airport closings and flight cancellations made it hard to reach Florida, coastal residents from Florida to South Carolina headed north and inland to escape the hurricane. Amtrak suspended passenger rail service through Friday between Miami and New York and the auto train between Lorton, Virginia, and Sanford, Florida. Earlier in the week, several airports in the Caribbean closed, forcing airlines to cancel flights there. Cruise lines rerouted ships this week to avoid the storm, which in some cases will mean more days at sea or skipping some Caribbean ports. We encourage residents in the affected area to listen to calls for appropriate evacuation, preparation and response, before, during and after the weather emergency. Prior to the storm, the presidents of each mission in the path of the hurricane have taken appropriate steps to ensure the life and safety of missionaries. This has included moving to safer locations, gathering emergency supplies and reviewing mission emergency procedures. Mission presidents have responded as appropriate and where possible are keeping families informed by email and through social media with messages of reassurance that necessary precautions have been taken. Local Church congregational leaders take similar steps to prepare those in their area. The Church continues to monitor the situation and is prepared to respond as needed. Written by The Associated Press, with the exception of the statement released by the LDS church. Perspectives: Preparedness, how soon is too soon? Been there and done that and it’s nothing to take lightly. these storms are dangerous. my prayers for the people that decided to stay behind. I hope they all make it . Hopefully there will be no more loss of life. Stay Strong People ! Way to go media! Big ole belly flop on that.